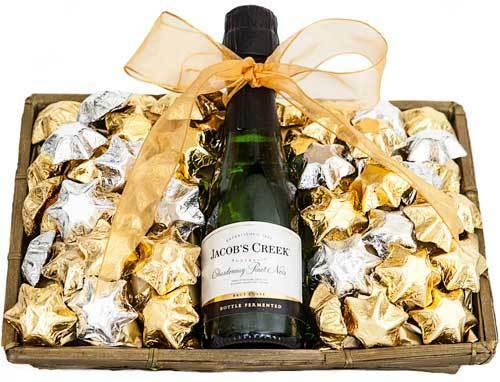 A stylish gift basket with delightful chocolates & wine. Show your appreciation this Christmas with this elegant gift basket. A great gift hamper for your clients, staff, family or friends! 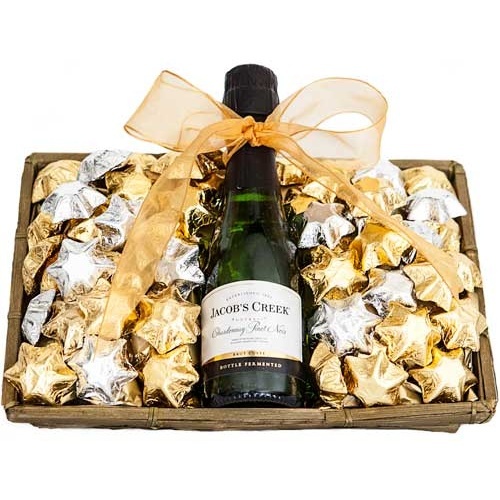 Containing a selection of creamy milk chocoaltes and some bubbly this hamper is a great way to show those around you that you appreciate them. A gift hamper that will be enjoyed by all this Christmas!